Lorelei Wakefield, VMD, is a vegan veterinarian and founder of Veterinary Concierge Care which provides private VIP home care for NYC’s beloved dogs and cats. She also runs Wakefield Vet, a consultation service for non-profit groups as well as individual animal caregivers needing advice outside New York City. She is an expert in vegan dog and cat nutrition, as seen on Animal Planet, in Cat Fancy magazine and the Journal of the American Veterinary Medical Association. Dr. Wakefield works regularly with the ASPCA and volunteers to advocate for farm animal rights. Hello everybody. I’m Caryn Hartglass and you’re listening to It’s All About Food. Hi and how are you today? It’s been a big full week full of lots of fun food and I’m going to be telling you about some of that in a little bit, some wonderful events that have been going on. There’s all kinds of really lovely inspiring activity so we’ll be talking about that in a moment. Let’s bring on my guest because I’m really looking forward to talking to her. Lorelei Wakefield is a vegan veterinarian and founder of Veterinary Concierge Care which provides private VIP home care for NYC’s beloved dogs and cats. She also runs Wakefield Vet, a consultation service for non-profit groups as well as individual animal caregivers needing advice outside New York City. She is an expert in vegan dog and cat nutrition, as seen on Animal Planet, in Cat Fancy magazine and the Journal of the American Veterinary Medical Association. Dr. Wakefield works regularly with the ASPCA and volunteers to advocate for farm animal rights. Sounds pretty good to me. How are you Lorelei? Lorelei Wakefield: Hi Caryn. I’m good. How are you? Caryn Hartglass: Good. Now you’ve been really busy and I’m glad you’re taking a moment to talk with me. Lorelei Wakefield: I’m happy to be on. Caryn Hartglass: So tell me what’s going on in your veterinarian life that’s keeping you so busy? Lorelei Wakefield: I’m doing a few things right now. I have the Veterinarian Concierge Care, private home care for pets. I’ve been doing that. I also do relief work at the ASPCA and I work with some nonprofits as well. Caryn Hartglass: You know veterinary—I have to be very careful when I say that. I always want to leave out a few syllables. Lorelei Wakefield: You wouldn’t be the only one. Caryn Hartglass: Veterinarian—I’m going to be very careful with that. I am not a dog or cat kind of person. We don’t have any companion animals here. One reason is because the building doesn’t allow them. That doesn’t stop a lot of people from having them in our building but we’re not supposed to have them. I am a person who believes that all sentient beings should live a life that they want to live based on their own design, free of exploitation and lots of wonderful care. So how is it that you decided you wanted to take care of animals? Lorelei Wakefield: I’ve always loved animals and I’ve been vegetarian since ’97 and vegan since ’99 and I was sorting out what to do with my life. I’d always had some interest in science. I love animals. I have such a strong interest in animal rights and welfare. Since I had been vegan my allergies actually went away. I grew up with really terrible allergies to dogs and cats and kind of everything else. As a wonderful side effect of becoming vegan I had no more allergies so suddenly it was actually a possibility for me to be a vet. So I wound up going to vet school. Caryn Hartglass: That’s nice and that’s such an important point. People don’t connect those dots. A lot of foods, like milk for example, can cause allergies. They inflame our nasal passages and that makes us more sensitive to responding to other things that can aggravate it even more. Caryn Hartglass: Then when you take that away all of a sudden you’re not as sensitive to these other things like pollen or pet hair. Wonderful, I’m glad that happened to you so that you were able to do what you were meant to do in life. I’m wondering about your training as a veterinarian. I know that with medical doctors for humans—I want to assume that most if not all of those people go to train because they want to do good. They want to help people. And then something happens when they go to school, when they get involved in business and when capitalism kind of takes over and when laws take over and administration take over and misinformation takes over and things get kind of messy. A lot of physicians, we don’t trust them and they don’t know really the best care for us and a lot of things go on. Is it similar with veterinarians? Lorelei Wakefield: I’m going to say I believe there’s a huge difference. You have to really love animals to become a veterinarian because it is sadly not as lucrative as people think it is. In fact they just did a wonderful study in the AVMA, the American Veterinary Medical Association’s Journal about the return on investment of becoming a veterinarian. Currently a veterinarian goes to undergraduate for 4 years, typically, and to veterinarian school for 4 years and some people will also do a year internship and a residency. Average debt for veterinarians right now is $130,000. So they found out that a woman who goes to veterinary school, the return on investment over a lifetime, had she just done a 4 year undergrad degree is negative $40,000 (laughs). And for men it’s like positive $70,000. Caryn Hartglass: There you go. Lorelei Wakefield: People do it because they love animals. We wish that veterinary costs were less expensive but I promise you your vet is not in it just for the money because there’s not that much money in it. Caryn Hartglass: There’s a range of types of veterinarians. My guess is that those who are part of the animal agriculture business might do a little better. Lorelei Wakefield: That’s hard to say. There have been different studies but I think a lot of the time it depends on exactly what part of the animal agriculture they may be in. A lot of times small animal vets come out making more money than the agriculture vets but still…. That doesn’t preclude the fact that decisions are made based on finances not always on animal welfare in those fields. Caryn Hartglass: You’re a vegan and I love that. There are veterinarians as I mentioned that are involved in animal agriculture and are involved with the exploitation and slaughter of animals. Were you involved with students and are you familiar with veterinarians who do that who were interested in going along that way? I would think like a doctor you want to save your patient’s life and keep them healthy but there are some that are actually in the business to protect animals until it’s time to kill them. That’s kind of weird, isn’t it? Lorelei Wakefield: It is kind of weird to someone who is vegan or vegetarian. I did go to school and know some of those people and I’ve met some really wonderful people who go into animal agriculture. It’s just we were all raised differently. They’re raised on a farm and think that’s just how things should be. I know some animal agriculture vets who really try their hardest to make the animals as comfortable as they can during their brief lives. There are others that I’ve heard about and read about that I don’t know personally that seem to be making a lot of decisions that are absolutely not in the animal’s best interests. They’re kind of placed in a tight squeeze point because their clients are farmers. The farmers make money off of the slaughter of animals or using animals for milk or whatnot. It’s a tough position to be in for them to turn around and say “Mr. Farmer you’re doing things completely wrong” and ask them to change what they’re doing. It might be a million dollar proposition. Caryn Hartglass: It all comes down to money, doesn’t it? Lorelei Wakefield: It’s a lot of economics. It’s not as simple as we’d like it to be. That’s why this consumer push has been so important. We’re not going to buy pork from pigs that were raised in gestation crates. We’re not going to buy eggs that were from hens in battery cages. Caryn Hartglass: Let’s talk about dogs and cats and the happy side. You are an expert in vegan dog and cat nutrition. Right when I say that I’m sure there are hairs going up on people saying “what a minute, you’re going to make your dogs and cats vegan?” Tell me about dogs and cats. Can they be vegan and should they be vegan and how do you do it? Lorelei Wakefield: Sure. Dogs and cats can be vegan. They certainly can because I’ve seen healthy vegan dogs and healthy vegan cats. The caveat is that cats are actually obligate carnivores so by making them vegan it does go against their natural system. It’s very tricky. Some cats I’ve seen thrive and do wonderfully on a commercially prepared vegan diet that’s formulated to meet their nutritional needs. But other cats don’t do so well on a vegan diet and need to either go back to a conventional meat-based diet or something that relies on some sort of mix which is what I recommend for people who want to give their cats vegan food—give their cats a mix. Here’s some meat food and here’s some vegan food and that percentage will vary depending on what the cat can handle. Right now I don’t think there is a cat food that is vegan and formulated that is safe enough to be their only diet. That’s not to say I’m against it. If someone wants to do it I will support them and help them, running the right blood tests and urine tests to make sure their cat’s healthy. So it is a little bit tricky. Dogs on the other hand, they are technically carnivores, they’re in the order carnivora. When it comes to their physiology they are more like us. They are more omnivorous. Dogs can really thrive on a vegan diet and it’s not so controversial. I would say at least 50% of vets would agree with me that dogs can be vegetarian and probably can be vegan and be quite healthy. They’ve done studies in India too where a large percentage of the population has been vegetarian for centuries. And those dogs thrive. They do wonderfully. I want to say one more thing about the cats. This is an issue where if you really want to feed your cat vegan food that is someone’s personal choice and I will support them and the cat as best as I can because in the end we’re saying this cat’s health may not be one hundred percent optimal, maybe it will be, but we’re saving how many chickens and how many cows. We’re saving their lives completely. In my mind I can understand that argument. Caryn Hartglass: It must be harder to transition an older cat rather than starting a kitten on a plant diet, is that true? Lorelei Wakefield: It’s a little bit easier to start a kitten but I will say these new vegan cat foods that they have are really highly palatable. There’s one, it’s called Ami Cat and it’s a dry food that I’ve seen cats go crazy for. Cats who have a bowl of regular meat food and a bowl of the Ami Cat food—I’m not getting any money for saying this—they love the Ami Cat food. Caryn Hartglass: Wow. What’s in it that they love so much, do you know? Lorelei Wakefield: I don’t know what the exact ingredient is that’s the thing that they go for but there are foods out there that make it a lot easier for you to transition a pet at any age. Caryn Hartglass: What about feeding dogs and cats real food, foods that you make at home? Is that a good choice? Lorelei Wakefield: That can be an excellent choice when it’s done carefully. If you were feeding them an omnivorous diet it might be a little bit more simple to get all their nutrients. For cats, if you’re feeding a cat a vegan diet you’d be a lot safer using a commercially prepared food because it’s very tricky to get their exact nutrient requirements met on that diet. So dogs you could feed them something like the dog formulated food and then you could add things like oats and carrots or apples or green beans. Those sort of things can be a very nutritious component of their diet. Caryn Hartglass: We’ve heard all kinds of crazy things just like with human food, all the horrible ingredients that are put in them and I imagine it’s worse with a lot of commercial dog and cat foods. All the stuff they wouldn’t feed humans they try and sell to dogs and cats. So are there things that people should look out for? Lorelei Wakefield: That’s a great point. When you put by-products in the conventional meat food, that means innards and weird organs, stuff that we would never eat, can end up in pet food and that’s a wonderful reason to choose vegan food for your cat because you’re avoiding those by-products. You’re avoiding things like antibiotics and hormones that they feed the farm animals with it that end up being slaughtered for our consumption. Caryn Hartglass: I never even thought about that. So they don’t directly add it to the food but it’s in the animals because they’ve consumed it. Caryn Hartglass: Wow. Has anybody done any studies on that? Lorelei Wakefield: Not in the animal realm, as far as I know. Caryn Hartglass: Yeah, I haven’t heard of that. That’s a good one. Oh we live in such a crazy world, don’t we? Caryn Hartglass: Do you have any good cat or dog stories—taking care of any or when something really lovely happened? Lorelei Wakefield: Sure. I have a friend, he won’t mind if I mention him, his name is Tod Emko. He runs Darwin Animal Doctors. He has a dog named Piggy. Piggy is a vegan dog and he was found after being in an accident. He had very severe damage to one of his hind legs. He needed to have it amputated. He was called Piggy because he was missing most of his fur. He was adopted by Tod. He was placed on a vegan diet and he ended up healing incredibly fast. Now he has a gorgeous coat. He’s a lovely dog and he’s a fashion model for various dog clothes and that sort of thing. He has a gorgeous coat and it’s wonderful to see the positive effects of a vegan diet on a dog. Caryn Hartglass: Are there foods that shouldn’t be given to dogs and cats? Occasionally I see some post that says “did you know you shouldn’t be giving your dog this and that” and people are “no, I didn’t know”. Lorelei Wakefield: One thing that has come out in the past year that not everyone knows about is grapes and raisins are toxic to dogs and cats. We’re not sure but avocados may be toxic so we recommend avoiding that and also avoiding most nuts. Chocolate most everyone knows is toxic and also we recommend avoiding onions and garlic. Caryn Hartglass: Now what happens if they eat grapes and raisins? Lorelei Wakefield: It can cause damage to the internal organs, sometimes to the kidneys, which lands them in the hospital. Caryn Hartglass: And dogs don’t know that they shouldn’t eat those foods? Lorelei Wakefield: No, they have no idea. They think they taste delicious. Caryn Hartglass: Oh, that’s very sad. Tell me about Wakefield Vet. You said you have this concierge care for private VIP home care. What happens at Wakefield Vet? Lorelei Wakefield: I’ve been consulting with organizations. For instance I’ve helped write protocols for treatments of dogs in large scale dog fighting places. I’ll do that sort of thing or I’ll help write protocols to assist people who have an issue with animal hoarding. On an individual scale I’ve been able to do consult by phone or Skype with people who want to transition their pet to a vegan or vegetarian diet because it’s so controversial that most vets are not really open to that. Not only am I open to it, I’m also supportive of it, especially in the case of dog’s on vegan diets. I know what to recommend for follow-up care as far as regular blood tests and urine tests. So I also offer that service. Caryn Hartglass: Do you have dogs and cats at home? Lorelei Wakefield: Yes, I currently have one foster cat who is probably going to be adopted very soon. Caryn Hartglass: That’s always tough, right? You kind of like fall in love with them and then they go. Lorelei Wakefield: I’ve had so much fun fostering a bunch of cats and kittens and now I’ve just fallen in love so I think I’ll be keeping her. Lorelei Wakefield: Yeah, there’s a lot of things. On the behavioral side of things, if you notice your pet is engaged in behaviors that you don’t want them to do something that really helps is just to give them more stimulation. Sometimes that just means more love and attention, for indoor cats that might mean more playtime or more toys, safe toys. For dogs it might mean longer walks or more time to run around off-leash in the dog park or that sort of thing. That can really help if you’re having behavioral issues. Then medically, there’s a lot but basically feeding your pet the highest quality food you can afford. It makes a big difference. If we ate McDonald’s every day we wouldn’t be very healthy. But if we ate at Whole Foods every day we’re probably doing a lot better. If you can afford higher quality food for your pet it still makes a big difference in the long run. Caryn Hartglass: I think those two points apply to humans as well as cats and dogs. Lorelei Wakefield: I think you’re right. Caryn Hartglass: We could all use going for more playtime, long walks and more attention from those we care about, right? We can learn so much. I’m kind of fascinated by all these species that are on this planet…I don’t know why we’re here and I don’t think anybody does but sometimes I think that each species has some really unique and wonderful characteristics that we can all benefit from and learn from. What do you think those characteristics are that are really special in dogs and cats that we don’t have? Lorelei Wakefield: I’ll tell you a story about my foster cat. It’s about their ability to be really present in the moment which Eckart Tolle has written about. So this cat…unfortunately my stories today are about animals with amputations…she also had an incident where she was attacked by a dog and had really severe damage to her hind leg that wasn’t repairable so she ended up having a hind leg amputation a few weeks ago. I fostered her so she could recover from that until she was ready for adoption and learned how to walk on three legs. What was amazing to me is, I met her three to five days after she had the surgery and all she wanted was love and attention and she’d just look at me and purr. She never seems to think about that leg. She never acts like she’s in pain. She’s just has moved on with her life. Every now and then I’ll see her in this funny position like she’s trying to scratch her ear with the leg that’s no longer there and that one pathetic thing she’ll do but then she realizes that she can use her front paw to scratch it and she’s fine. Caryn Hartglass: Accept and move on. Lorelei Wakefield: She is just moving on and it’s such a beautiful thing for me to see. It’s really in the moment. Caryn Hartglass: We’re not good at that, are we? Being in the moment and accepting what is and moving on. Yeah, something we need to remind ourselves of. Lorelei Wakefield: Animals are very good at that and they’re excellent teachers. Caryn Hartglass: Right. Now what about breeding of cats and dogs? Do you have an opinion on that? Lorelei Wakefield: Sure. I think it’s unsurprising that I’m not for breeding of cats and dogs when we have this overpopulation crisis. There’s not enough room in our shelters and millions are getting put down every year. It’s so sad. I know that people like having certain breeds because they’re lovely and certainly certain breeds are so wonderful but I just can’t justify that—to breed more pets when we have too many. There are breed rescues, which is a wonderful alternative. Caryn Hartglass: Isn’t breeding unhealthy for the future animal? Lorelei Wakefield: It can be unhealthy. Right now one thing I see is people want these tiny dogs so they’re breeding a little dog. They’ve been so genetically altered over the years with these specific breedings that there are certain breeds that can’t even give birth naturally. You end up having to do C-sections on these poor dogs. That’s a lot for them to go through. They don’t understand. Caryn Hartglass: We don’t know what they think—if they understand or not. Caryn Hartglass: [26:01 dropped out small part here] There’s a lot of animal experimentation, vivisection and I’ve read some of the benefits of that for animals is that we really know how to treat and take care of an animal, cat or dog, better than humans because we’ve done so many awful experiments on them. Lorelei Wakefield: That may be true but clearly I would give back those few things that we’ve learned in exchange for not having done the experiments. Caryn Hartglass: Yeah. It’s a terrible thing. Lorelei Wakefield: There’s a lot of art to medicine. We like to look at scientific studies but as we’ve seen in human medicine studies may tell us one thing one year and ten years later it’s the complete opposite. Caryn Hartglass: Yeah, isn’t that fascinating? We’re hearing that all the time. One of my favorite studies I think it was came out a couple of years ago they talked about no matter how objective we try to be and I’m not saying that a lot of these people who do studies are objective. Usually they want a certain outcome. Even if we try to be objective there’s something there’s something that goes on within us that still adds a certain amount of subjectivity to the results and then it’s hard to repeat those results later on, just fascinating how things change. Caryn Hartglass: Yeah, things that you would never even know were there are there. So what’s on your horizon coming up with dogs and cats? Lorelei Wakefield: The main thing coming up is I’m working on the veterinary concierge care which is the private home care for pets and that’s fun. I’m working with some vets that I’ve known for years from ASPCA and some technicians from there too as well as some behaviorists. That’s been exciting. What I will tell you whether you’re in New York City or not is having a vet come to your home is so nice for not only you but the pets are so much more relaxed at home. Of course that makes sense because they probably associate some negative things with the veterinary hospital. So it’s a nice service to offer. Caryn Hartglass: This concierge care, how does that work? Are people welcoming other people’s dogs and cats into their home? Lorelei Wakefield: No, what it is, is that a veterinarian comes to your home or hotel or office to examine your pet there. So it’s just a veterinarian and a technician if needed and you and your pet or companion animal I should say more accurately. Caryn Hartglass: Let’s bring back house visits for everyone, shall we? Caryn Hartglass: Wouldn’t that be nice to have a doctor come to your home when you don’t feel like getting out of bed? Lorelei Wakefield: That’s what they used to do so this is that same thing. When your pet is sick the last thing they want to do is go for a cab ride. Caryn Hartglass: Right. That’s nice, very nice. Well, Lorelei it’s been delightful talking to you and so lovely to hear what you’re doing for dogs and cats and the planet. Lorelei Wakefield: Thank you Caryn. It’s been so nice talking to you too. 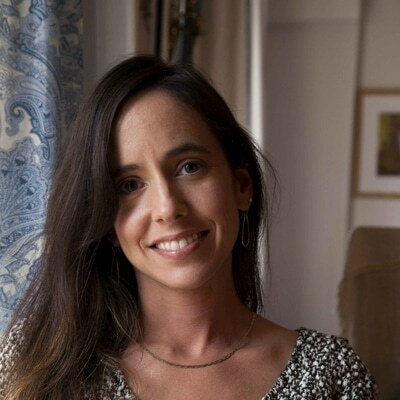 Caryn Hartglass: I’ve enjoyed it thank you and I’ve learned a few things too. Caryn Hartglass: I’m going to check out that Ami Cat. I don’t have cats but for my friends who have cats, who knows? Caryn Hartglass: Yeah, great, thank you. OK, thanks for joining me. All the best. Lorelei Wakefield: You too, bye. Caryn Hartglass: That was Lorelei Wakefield, a veterinarian who is vegan and an expert in a lot of vegan and dog and cat issues including nutrition.